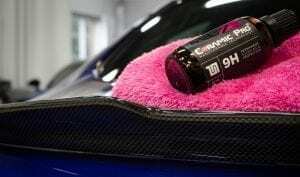 At Exotic Vehicle Wraps, another highly trusted product is Ceramic Pro Ceramic Pro is a nano-ceramic coating used for permanent paint protection and a variety of other benefits. Ceramic Pro is the world’s leader in nano-ceramic coating technology. The coating is made up of Silicon Dioxide and Titanium Dioxide. Silicon Dioxide can be most commonly sourced, in nature, from quartz and sand. Once exposed to open air, the Silicon Dioxide hardens and provides the glass-like texture and stability. Titanium Dioxide is used in a variety of home and industrial products, such as: sunscreen, paint, paper, plastics, and rubber. Titanium dioxide, in Ceramic Pro, is the agent that strengthens the durability of the surface. Backed by intense research, Ceramic Pro’s products are built to last the hardest tests. A few of their products include: the Ceramic Pro 9H, Light, Sport, and Strong. By now, you may be wondering which one is the best. What is the difference between each product? Ceramic Pro 9H: Ceramic Pro 9H is considered the leader of the pack. It creates a permanent coat on the surface of your vehicle and will not wash off or break down over any time. The 9H provides the most effective protection to your surface, and the more layers applied means better the protection. Ceramic Pro Light: When light is applied, it allows the surface of your vehicle’s body to stay clean longer and resists dirt and mess from sticking to the coat. It provides water resistance and forcing water to bead up and roll off the surface. Light also gives your car that permanent wax and shine look. 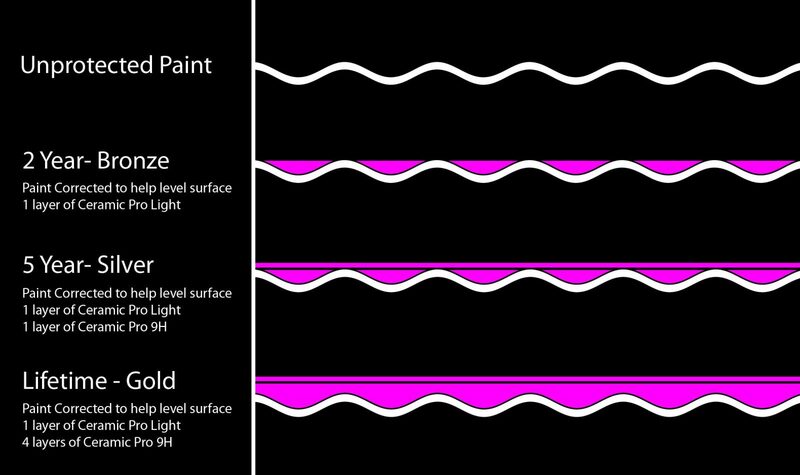 Ceramic Pro Sport: Sport is usually applied to surface that have previously been treated with 9H or Light. This product is used to refresh the resistance to water and UV damage. It can also be used as a standalone hydrophobic sealant with a six month warranty. Sport is a great choice, at a minimum. Ceramic Pro Strong: Strong is used primarily on surfaces that just requires protection, rather than the glossy finish. For example, if you wanted to protect a metal surface from abrasion and corrosion. The Strong is the best product for more immobile products. Each Ceramic Pro product provides their own incredible benefits. At Exotic Vehicle Wraps, we find that the most effective and common choice is the 9H. The 9H can be used on virtually any surface. The versatility 9H brings makes it effortless for us to fully back the product. Ceramic Pro products require a meticulous installation. When applied correctly, it not only adds a permanent gloss and shine; but the 9H serves as a liquid glass coating to your vehicle that does not delaminate. Why do I need Ceramic Pro? 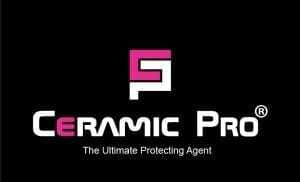 We cannot begin to stress the value of Ceramic Pro when it comes to vehicle protection. 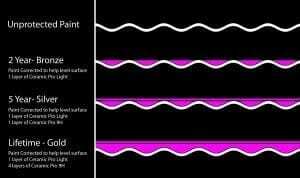 After time, your factory top coat will deteriorate. Ceramic Pro becomes a secondary coat that protects the value. The shiny finish is just the beginning. One of the most useful features is the scratch resistance. We all have accidentally scratched the surface of our cars. With 9H, there is nothing to worry about, the 9H absorbs scratches. If your surface has been scratched, you can simply wipe it down with a non-abrasive towel and gently wipe the scratches away, providing resistance to nature’s toughest elements. It can withstand 2192° Fahrenheit and UV Rays. It can resist harsh chemicals and oxidation, this will keep your paint from corroding and rusting. The structure of the 9H creates a slick surface that does not allow water or dirt to stick to the surface. Along with that, it is a self-cleaning coat. The nano-technology creates a barrier that rejects mess from sticking to your vehicle. No need to worry about a car wash, after a rain/snow storm! The 9H is hydrophobic, and forces water to bead up and roll off the surface of the vehicle. This will keep your vehicle looking sleek and in top shape. The self-cleaning feature is one of the greatest advantages to Ceramic Pro. Adding the ease of minimum maintenance changes the way we Ceramic Pro will preserve your paint’s OEM glossy finish. How long does it last and what is the warranty? 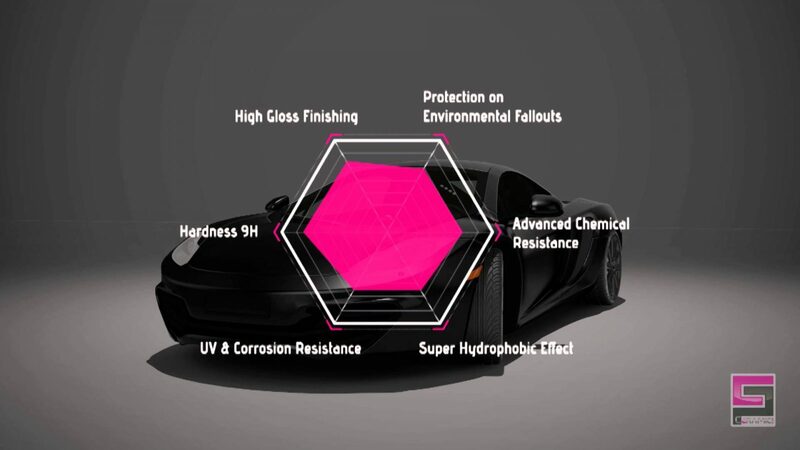 Ceramic Pro’s products have proven superior and provide the greatest benefit to your vehicle and to you. 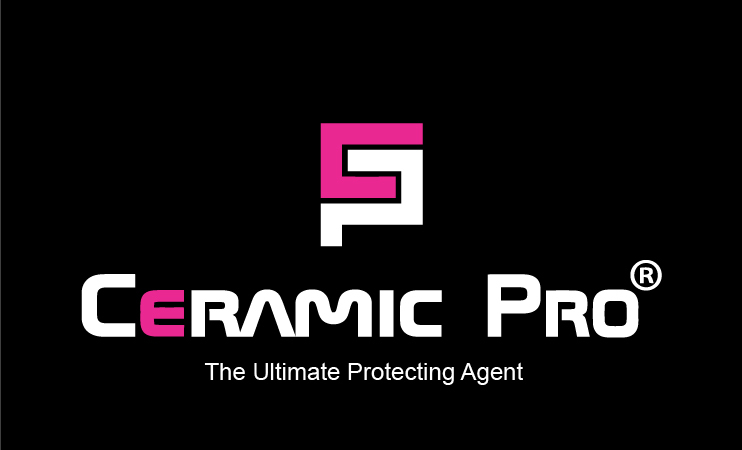 The protection Ceramic Pro’s products brings is something you cannot find anywhere else. Not only will it protect your vehicle, but it will add more value to your car to keep it protected. While all Ceramic Pro products are elite, the effectiveness of the coat depends on the package. The coating is permanent, but does require some maintenance to upkeep the most effective results. At Exotic Vehicle Wraps, we offer three packages for Ceramic Pro. The Bronze Package: The Bronze package of Ceramic Pro is a single layer of Ceramic Pro Light, and an extra layered applied to wheels and the windshield. The Bronze Package comes with a two year warranty. The Silver Package: The Silver Package consists of a single layer of Ceramic Pro 9H over the entire body of the car. An additional layer of 9H is applied to windshield and the wheels. The Silver Package comes with a five year warranty. The Silver+ Package: The Silver+ includes two layers of Ceramic Pro 9H and Light over the whole body, of the car. An additional layer of 9H is applied to the body, as well. The Silver+ is a good in-between Silver and Gold. Silver+ Package comes with a five year warranty. The Gold Package: The Gold Package includes four full layers of Ceramic Pro 9H. An additional layer is applied to the windshield and wheels, as well. This package provides the ultimate protection, and comes with a lifetime warranty. Ceramic Pro brings great value to us, at Exotic Vehicle Wraps and will bring greater value to you. We fully guarantee you will love your ceramic coating and the protection it provides. Contact us today, at info@ExoticVehicleWraps.com or call 240.320.3335 to see how Ceramic Pro can benefit you.